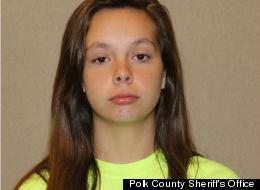 A fourteen year old chokes her baby to death after conceiving it in her home. The article is newsworthy because people need to know, and the story is rare and appalling. The story should give more detail about why she did what she did, and if she thinks it’s acceptable. Also, I think it should elaborate on whether she will be tried as an adult or not. If she has any history of psychological issues, that should also be included. Not all the info is available immediately, Lindsay. How much of this should be considered private? How much really affects the general population?